Media Hub - Best Fire Poi. When people pick up their first set of poi, it’s usually because they want spin fire, or they’re experienced in flow arts and want to learn a new prop. Spinning fire when you’re a complete beginner isn’t recommended, and fire and fuel safety should always be followed. Never spin fire alone - Even if you’ve been spinning fire for over 10 years, the risks remain the same. All our own props are manufactured in our sustainably powered, 1700 square foot workshop. The safety of our customers is our highest priority and we do everything we can to ensure that our equipment is safe to use for it's intended purpose. Continued safety is dependent upon safe practice. We do not sell fire equipment to anyone under the age of 18. The Mini Whizzer was our first ever fire poi. 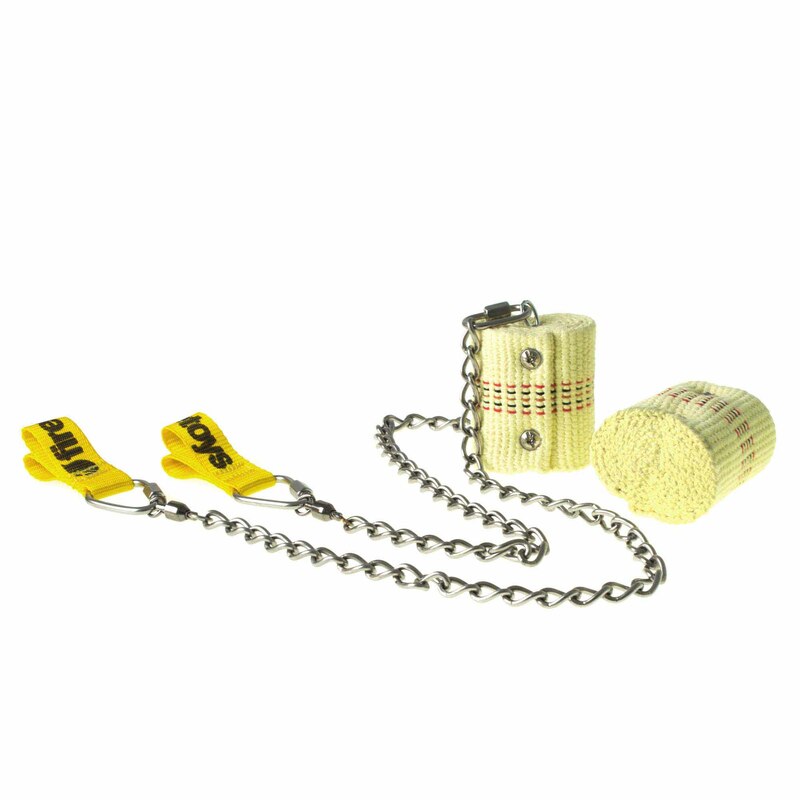 This is the second generation of this great starter fire poi set and they use nothing but safe, tested, high-quality components such as Firetoys quality wick, robust chain, sealed internals and no split rings. If you're new to fire poi watch out for split rings (keyrings) on poor quality or budget poi! 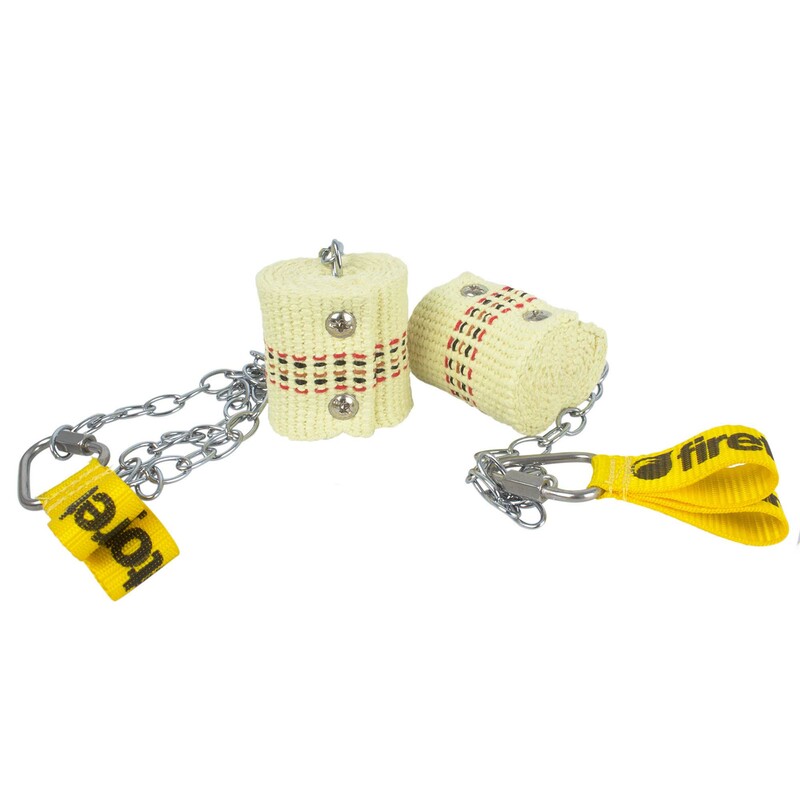 They’re great for holding keys together but can be very dangerous when used to connect poi heads to chains as heat from the fire allows them to expand and eventually give way. The 50mm (2") wide wicks are ideal for beginners concerned by large flames. The small flame’s burn time is between 3 and 5 minutes depending on conditions, just long enough for a good spin, but not so long that your arms get tired. All in all, our Mini Whizzers are a fantastic starter set of fire poi, you will find very hard to beat their quality in this price range. These high-quality fire poi are the latest classic chain fire poi design. We've removed the old metal core giving you 20% more wick! The flame size remains the same as older designs but the extra wick means you get a better burn time. The 65mm (2.5") wide poi heads are now removable thanks to a quick link that attaches them to the chain. You may need some pliers to open and close the quick link but it allows you to swap your poi heads, or use these standard poi heads with other chain and handle setups. Another new feature these fire poi now sport are twisted link chains instead of the oval link previously used on these poi. The stainless steel twisted link chain, which is made specially for our poi, provides even more strength than the old chrome plated, mild steel oval link chain did. These sleek fire poi are free from any unnecessary clunky components: The super smooth #7 swivel by the handle is TIG welded onto the chains to remove unnecessary quick links. The swivel connects the assembly to the industrial strength but still comfortable nylon double loop finger handles. All the bolts are counter sunk on our fire poi reducing the chance of burns and making them some of the safest fire poi on the market. High quality, professional fire poi made with 1.5m (59") of folded 50mm (2") wick, known as a cathedral wick, on each head. Cathedral wicks give a large flame to volume ratio and a good burn time. 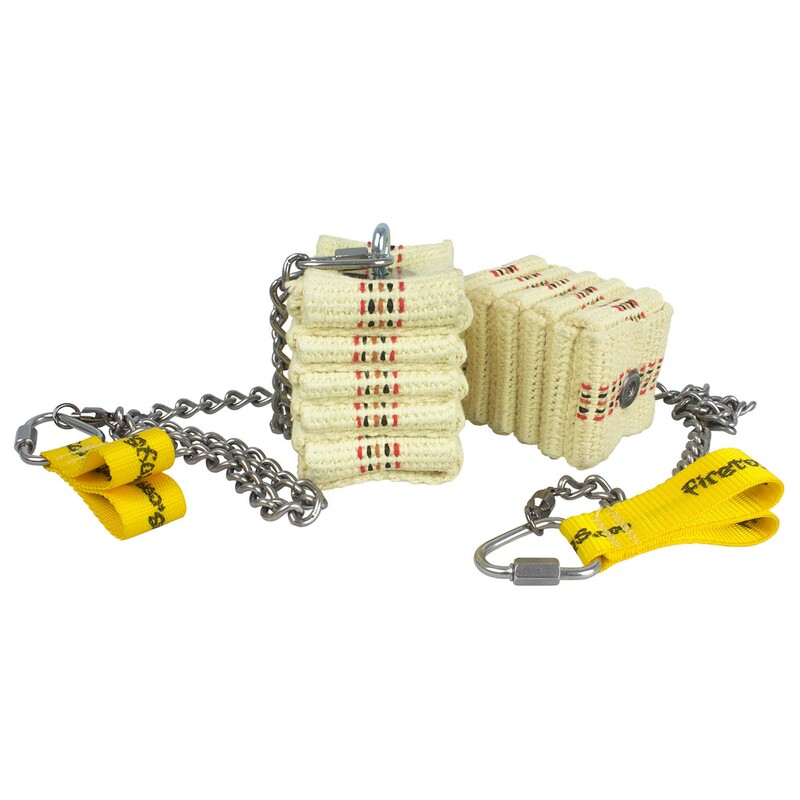 The high quality twisted link chain is amazingly strong and hard wearing. It's also great for hyperloops, air wraps and stalls. The super smooth swivel is TIG welded to the chain, removing all the excess componentry leaving you with a set of sleek, strong poi with wicks measuring 61mm x 53mm x 53mm (2.4 x 2 x 2 inches). We've kept the quick link that joins the chain to the burner as we're so sure you'll love these chains you'll want to use them with all your fire poi. Simply undo the link (pliers may be needed) and securely reattach poi heads of your choice! The Fire Papaya are high quality, extra-large, professional fire poi that feel like contact poi. The large heads are made from 2.4m (94") of 13mm (0.5) fire rope. This soaks up a great amount of fuel, leading to long burn times of over 6 minutes, and big flames! Because of this, we only recommend them for professionals. The heads weigh 200g dry, and 340g soaked in fuel. At the other end are Play silicone knob handles with inline swivels, the same handles we use on our contact poi, they allow for easy catches as well as providing a counterweight to the poi heads, allowing you to perform tricks like orbitals without twisting the chain. All this makes the Fire Papaya great for throws, tosses and juggling. While it is possible, we do not recommend you use these poi for contact rolls, at least not while on fire!